Really, Yoda has basically been 'the man' ever since we saw his cranky wisdom being tossed out in droves on Dagobah, but we hardly ever get enough of him. The galaxy seemed to have gone quite a bit darker when he passed, but at least we know that he's never truly gone. And, we're not just talking about keeping him in our memories and highlighting many of his best quotes. No! Yoda may have rejoined the Force, but that only means he's with us all the time! Of course, there are ways to make that clearer. 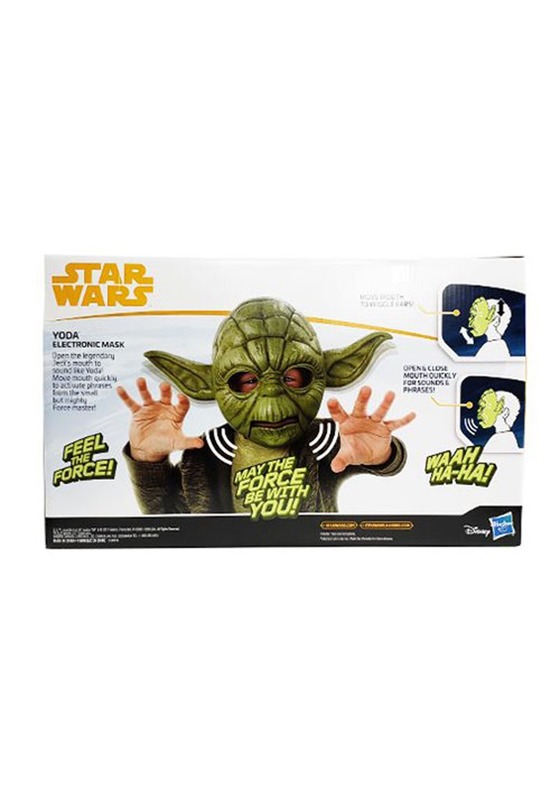 Make sure that everyone knows exactly what Yoda would say in any situation with this electronic Star Wars Yoda Mask. 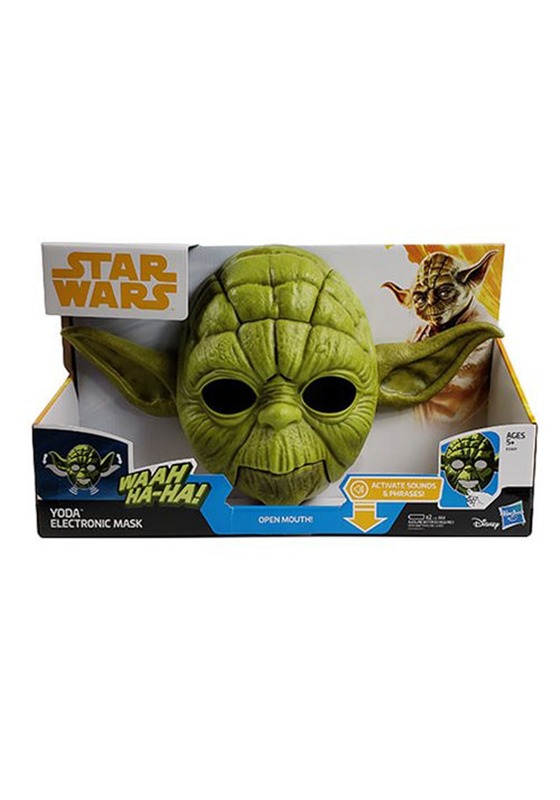 Open up the mouth of this plastic molded mask and watch as Yoda's ears twitch and listen to the quotes from the films that you love. You'll feel like you're part of the story as though it was just happening today! Remember that through the Force, you'll see plenty of other places. The future. The past. Old friends long gone. Well, you won't even just see old friends with this Yoda Mask. You'll be Yoda giving out all that ancient wisdom.